A sold-out audience is fully immersed in the first bi-annual 5D World Building festival! At USC School of Cinematic Arts on April 13th, a sold-out crowd gathered for a dynamic and stimulating day of interdisciplinary & collaborative participation, Science of Fiction proposed LA 2.0, 2020: the rebuild of a parallel Los Angeles in the near-future of 2020 ... with some disruption added! The sea level is rising, Occupy LA succeeds, and the Los Angeles rail system was never dismantled by the auto industry. Vibrant debate and prototyping ensued in 5 rooms packed with adult creators, while play broke out in the sixth room full of of kids - 250 people seeding an emergent world in a single day! Check out and explore the first release of this new world at Dio. This created world will continue to evolve as a laboratory of world building and transmedia for the future - stories will develop, ideas will be challenged, future outcomes will be investigated. Look for the next iteration of this persistent world in the Fall of 2013. 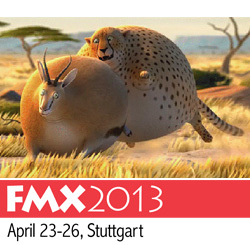 5D Institute is proud to announce its ongoing involvement at the wonderful FMX2013 Animation and VFX Conference in Stuttgart April 22-26 with the first World Building & Transmedia track at this event. Continuing on from the great success of 5D Institute's Science of Fiction last week, the track will include a close session with world building experts engaged in building a new narrative and exploratory world, on Mars; as well as presentations from Cornelia Funke, Jorg Ihle, Juan DiazB, Raimo Lang, Scott Trowbridge from Walt Disney Imagineering, and Alvise Simondetti from Arup. 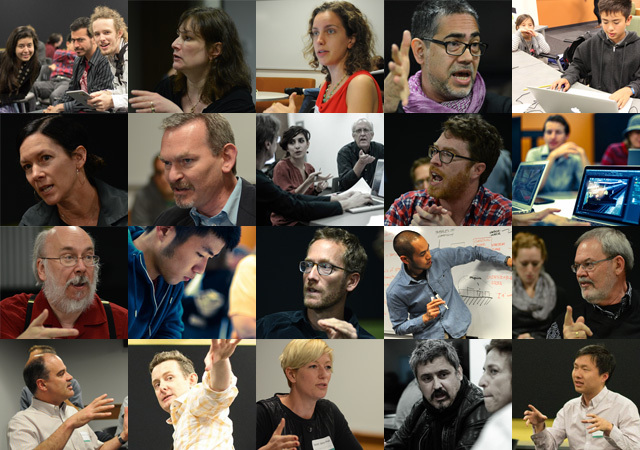 These sessions are co-curated by Inga Von Staten and Alex McDowell. World Building also features as a key comonent of the Virtual Production track, curated by 5D founder member David Morin, of Autodesk.